Have a holly jolly Christmas! 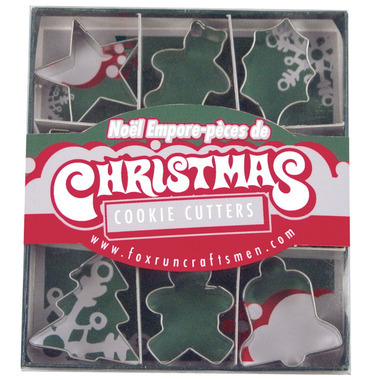 Make cute, delicious cookies with these fun cookie cutters from Fox Run. I was a little surprised at how small these actually are! Great for portion control for my kids but I wouldn't use these for family functions. I am happy with my purchase though! These really are 'mini'; I'd say they're each about an inch and a half. Perfect for kids, especially if they're the type to want to eat "one of each"! Not very impressive for giving to family and friends, though--the decorating would take forever!